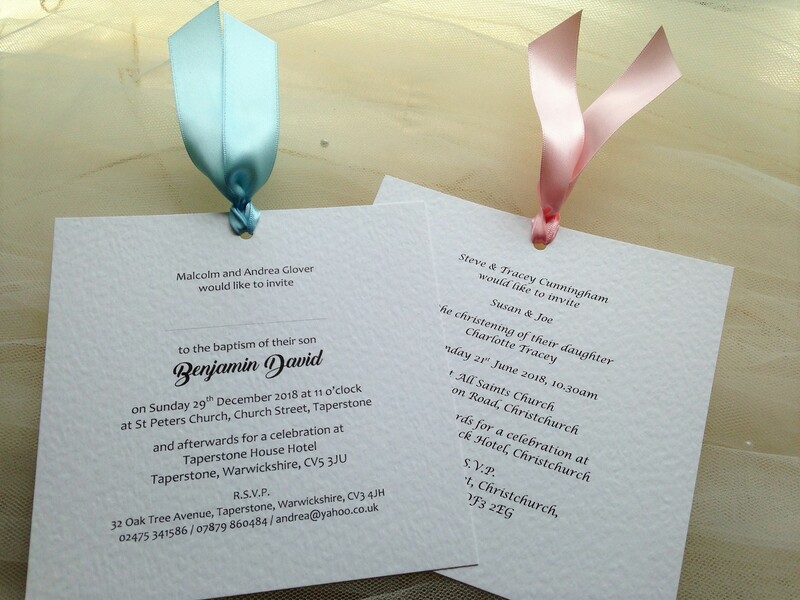 Personalised Chantilly Christening Invitations, Baptism Invites, First Holy Communion or Naming Ceremony Invitations (wording can be changed to suit). 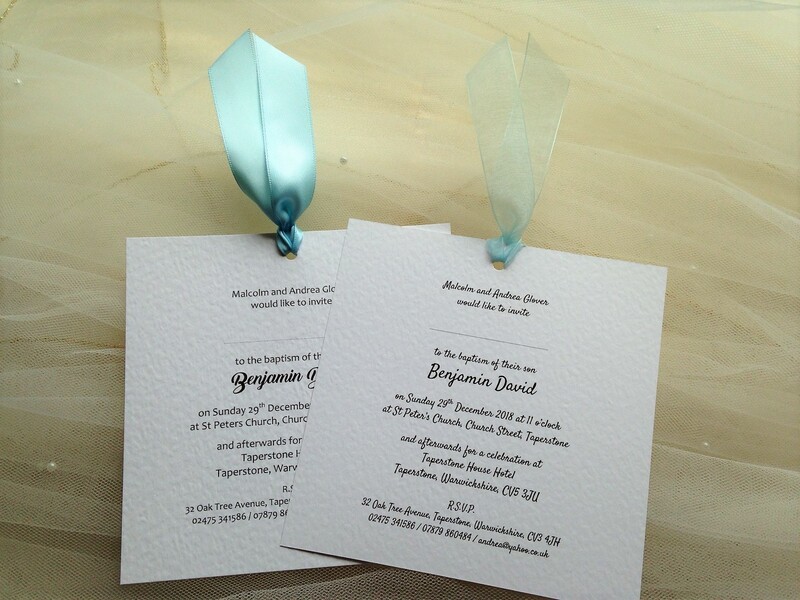 Our Chantilly Christening Invitations are printed on a thick heavy weight (270gsm) hammered card and are available in white or ivory. 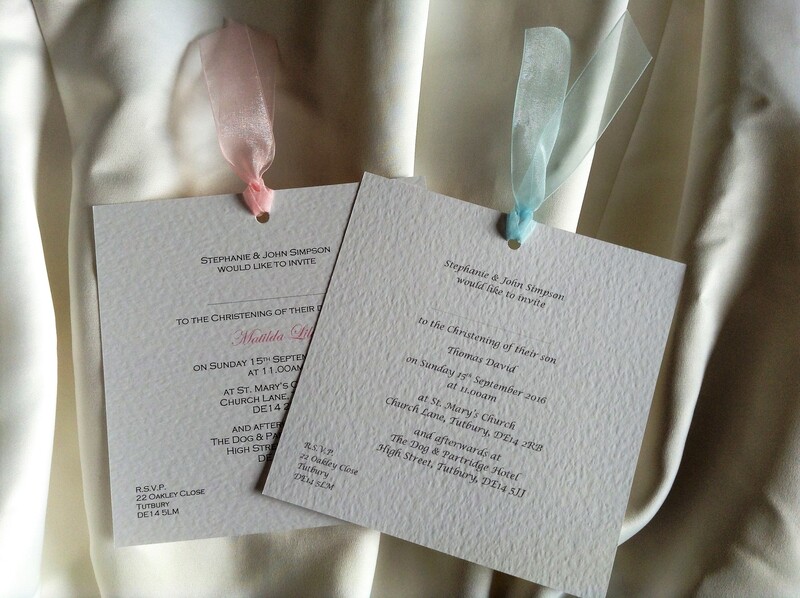 Choose your hammered card colour, ribbon colour and font choice/colour from numbered tabs above. 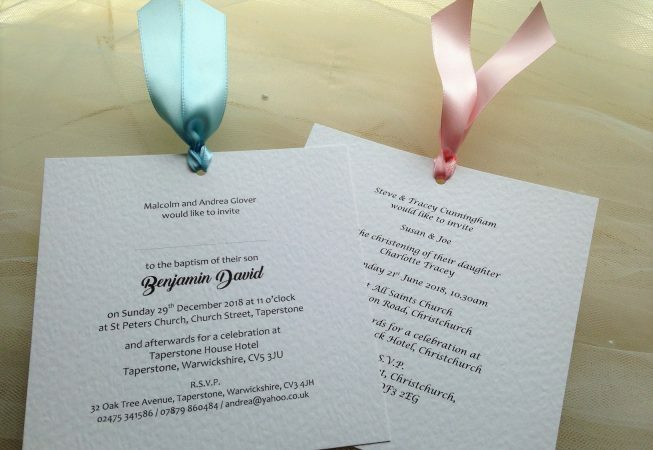 We have a huge range of ribbon colours to suit both boys and girls and twins. 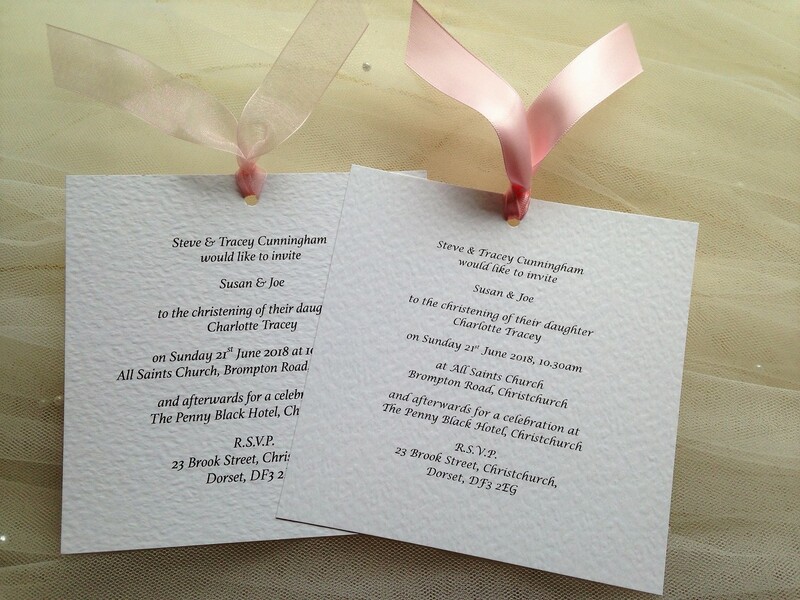 The price for these invitations includes all personalised printing and a matching hammered envelope. Invitations are square 15cm x 15cm.